I figured I could give a movie suggestion once a week as film is a great passion of mine. I am currently studying film analysis so I watch A LOT of films. 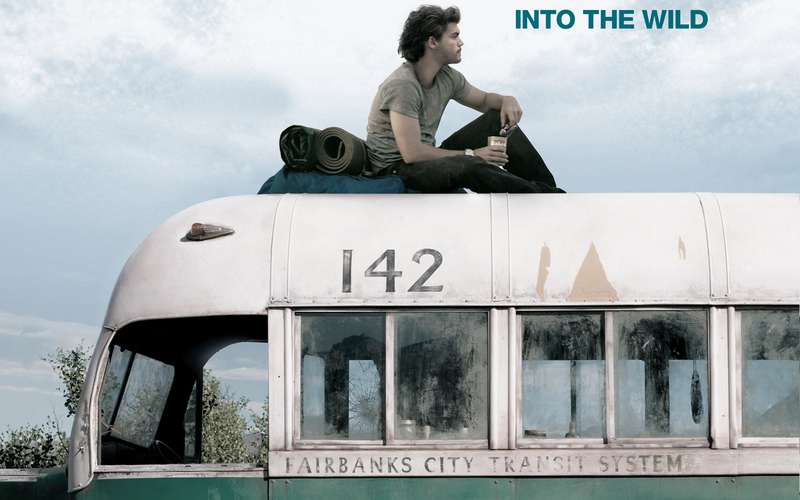 This film in particular, titled Into The Wild by Sean Penn in 2007 is one of my favourite films to date. Adapted from the original novel by Jon Krakauer, the film follows the story of a man named Chris McCandless who decides that rather than starting a career and developing a set future, he gives away all of his savings and starts out on an adventure into the Alaskan wilderness. The story line evokes a lot of feelings towards leaving home, having adventures and the hardships that come along with literally living in the wild. What I love about the protagonist (played by Emile Hirsh) is that he sees himself not as homeless, but as a man freed from homes. Which shows how easily a person can think so much differently about something than someone else. For the most part of the film the audiences watches Chris travel from location to location until he discovers an old bus out in the middle of nowhere. He decides to stay in this particular place for a while but then gets trapped there from the changing weather. This is the turning point in the film. The rest you'll have to find out by watching the film. I mostly love this film for the aesthetics, the location is absolutely beautiful and the cinematography is fantastic in terms of camera movement. I did a little research on the trusty Google platform, and found that the film has been rated quite high from several different sources, in regards to the 1-10 scale. Personally I would give the film a 7.5-8, but that is only an exclusive perspective. If you're into the indie like style of a feature film that has a very strong underlying message then you should definitely watch this film! I highly recommend it. Hey there! Thank you for reading my post. 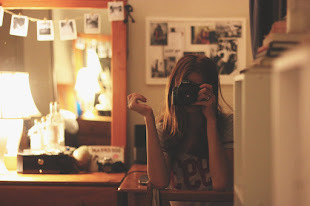 If you comment a link to your blog below I'll be sure to check it out. Born in Australia, I am currently 18 years old and studying Literature and Film. I've always enjoyed writing so I thought I'd start up a blog as a hobby and see where I go from there. I am enjoying life and being creative at all chances I get. I express myself through my writing. Follow me on my social media links!